BASC is simply what we do. We supply Blinds Awnings Shutters Curtains Locally owned and operated, BASC is a company that has specialised in supplying quality window furnishings within the ACT and surrounding region. Murray Johnson, proprietor has an established reputation with over 15 years’ experience in the industry. With our extensive range of quality products, BASC offers competitive and affordable solutions and can assist with design and colour suggestions for all internal and external window furnishings. Free measure and quotation provided in-house or on-site. Come and meet Murray and his professional team at the new and improved showroom. Concept Shading Solutions is a small locally owned company servicing Canberra and surrounding areas in supplying all your window furnishing needs. We guarantee excellent competitive prices with unbeatable service and honest professional employees who put the customers first. Take advantage of our mobile showroom, this service allows you to make an appointment at a suitable time for you. Our in home consultation ensures that you have the ability to choose the perfect product matching your decor. BMAC Window Furnishings offer a FREE measure & quote & are family owned & operated. There is no job too big or small with our expert knowledge! Convenience is a given with our mobile showroom - We will come to you! We are flexible with our appointment times, as we can offer weekends & after hours on weekdays! We have a strong passion for meeting our client's needs & preferences when choosing their curtains & blinds. Professional service, competitive prices & quality products will be what you receive when you deal with BMAC Window Furnishings! Colour, Fabric, Design ....The choice too hard? Let me help you with your decision. As colours and fabrics will look different in your unique home settings, I would love to come to your home with many samples and window covering ideas. We have an outstanding selection of quality fabrics to suit all budgets. Happy customers and repeat referrals are the best advertising. When you choose Watson Blinds & Awnings, you’re choosing a unique depth of quality and experience. 100% family owned and operated, the Watson team have serviced the Canberra region for 50 years, installing window furnishing in over half of the city’s homes, and are experts in ensuring your house is kept safe and comfortable all year round. With over 250+ years collective experience within the industry, you’re in good hands at Watson. We’re well equipped to keep you and your family warm through the freezing Canberra winter and cool during the hot summer. We offer free consultations, fabric samples, a measure and quote service with no obligations, and are committed to ensuring your complete satisfaction. Our products carry warranties of up to 10 years, with extended warranties available, and our local team are able to carry out ongoing maintenance and consultations. Watson Blinds and Awnings are the only blind company to manufacture within Canberra, producing the region’s widest range of window covering products made to suit all homes and budgets. From basic options through to custom luxury installations, our specialist consultants are devoted to aligning your design requirements to our range of quality products, and will be sure to find a solution for your needs. Constantly striving to be the best at what we do, we’re always seeking out new opportunities to exceed our customers’ expectations. Vision - Choice - Quality - Value Over 15 years experience in providing and installing Security and related products in ACT and Canberra Regions. Indoor window coverings - from Venetian blinds to Roman shades or custom-made drapery - are a signature element of a Canberra, Australian Capital Territory home’s style — plus they have has the added values of baffling noise and increasing your home's insulation against the elements. Window treatment professionals, designers, vendors and manufacturers often specialise in different types of window coverings. Some handle shutters and/or blinds, while others work primarily with fabric treatments such as swags and valances. Still others focus on high-tech automated shades or louvers. 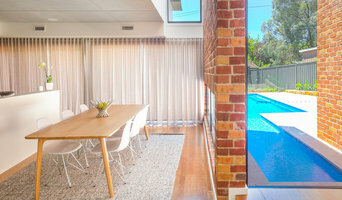 But regardless, your Canberra, Australian Capital Territory pro can advise you on the pros and cons of the material and style that interest you, as well as help you determine whether prefabricated window coverings are the best choice for your space, or whether custom versions would be ideal. If you are looking for a more tailored result - designer curtains, custom shutters or other bespoke curtain styles - A window treatment professional might work closely with a Canberra, Australian Capital Territory interior designer or house decorator to widen your options. Here are some related professionals and vendors to complement the work of shutters, blinds & curtains: Windows, Interior Designers & Decorators. Find a window covering professional on Houzz. Narrow your search in the Professionals section of the website to Canberra, Australian Capital Territory window coverings. 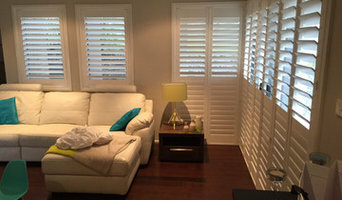 You can also look through photos to find examples of Australian Capital Territory window treatments that you like, then contact the professional who worked on them.